Going out for sushi is super trendy! And you don’t want to be left out, you guys. If you don’t like fish or have never tried it before, sushi can be a little intimidating. But no worries! The girls at Awkward Vodka have come to the rescue. 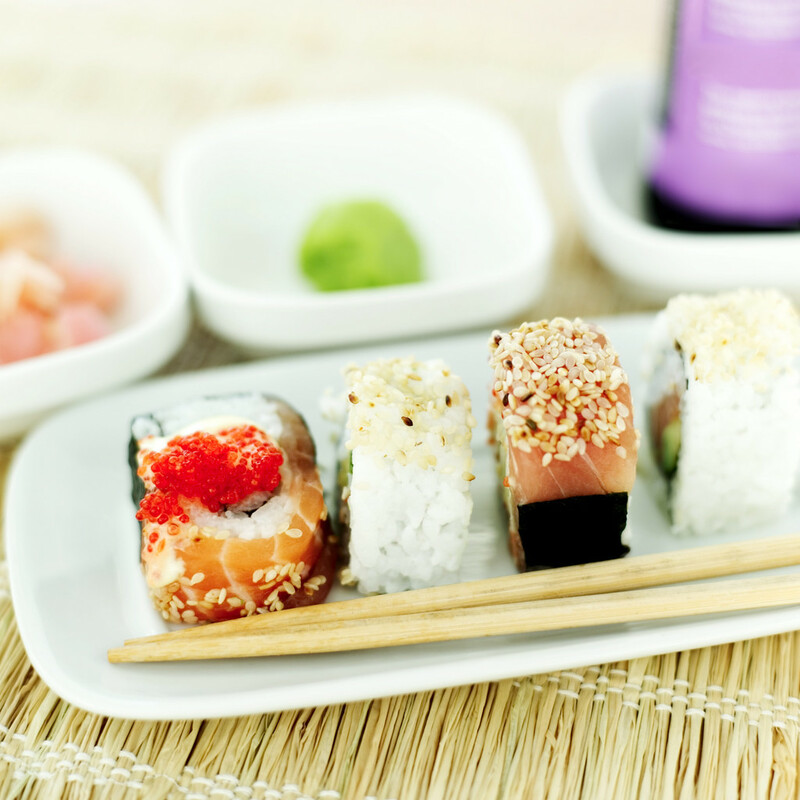 Here are the basics you should know about the fishy food and some tips & tricks for fooling people into thinking you’re a sushi lover. 1. Tempura: Means fried! If you like unhealthy, fried goodness, order anything with the word tempura in it. 2. California Roll: Delicious avocado, cucumber and imitation crab. IMITATION! Not real! Eat it. 3. Philly: When they say Philly, they mean cream cheese. Can you say “Yummy”?!? If you love cream cheese, it doesn’t matter if it’s mixed in with salmon or eel, you’ll love it. 4. When in doubt, order the veggie roll. You won’t have to deal with any disgusting fish. Everyone wins. Side Note: If you like things hot and spicy, order any type of sushi and top it off with the green paste that comes served on the side (it’s called wasabi and it’s a lifesaver). You won’t be able to taste anything besides the horseradishy/hot mustard spice so you’re safe. And an added bonus – if you do this while battling a cold, like most of us are this time of year, your sinuses and tear ducts will most definitely be clear by the time you finish just three wasabi-loaded pieces. There you have it folks, fake it ’til you make it! You don’t even have to use chopsticks. People will think you’re a pro. Previous Previous post: Happy Brunch!